If you have considered selling your home to downsize or because you are looking for that extra bedroom AND are not sure what your current value is. Click the link below for an instant value of your property. 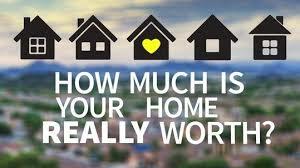 For a more detailed Value of your property, contact The Ben Bond Real Estate Team and they will provide it for you. If you are thinking about refinancing your home, this will help you to know if it is worth doing.